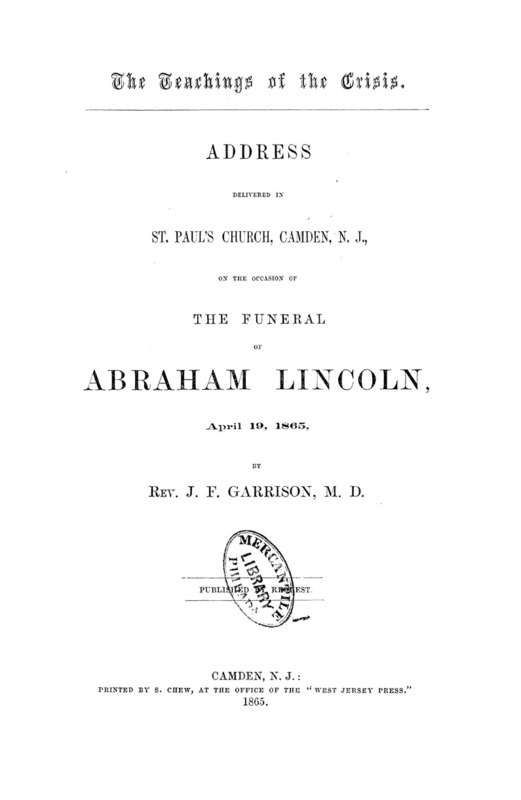 Address delivered by Rev. J. F. Garrison in St. Paul's Church, Camden, New Jersey. S. Chew, at the Office of the "West Jersey Press"